With the arrival of cold and flu season, it’s a good time to start thinking about how to improve immune system. Hopefully, you’ve already received a seasonal flu shot to protect against influenza. 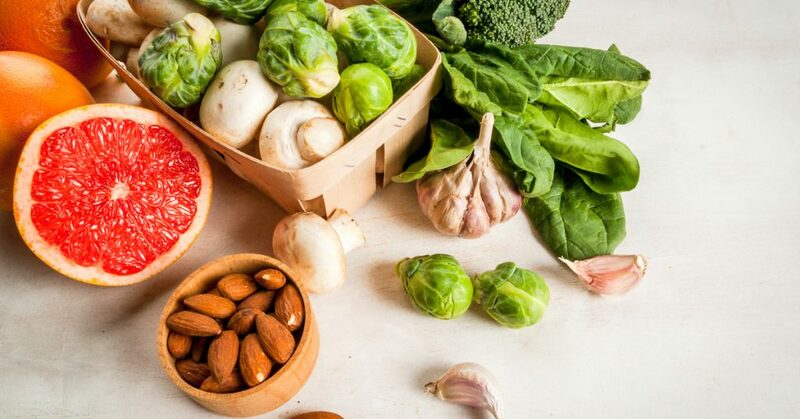 However, did you know that you can also help fend off seasonal illnesses with help from your local produce section by paying attention to immune boosting foods? One of the best immune boosters is hiding right in plain sight in the foods you eat on a daily basis. Outlined below is a list of foods to boost immune system function. We’ve chosen seven top contenders you should consider eating more of this winter. They could help you fight off viruses, infections, inflammation, and other unwanted invaders. If you have been thinking about how to improve immune system defenses this cold and flu season, be sure to stock up on the foods below. One of the top immune boosting foods, this powerful vegetable is loaded with minerals and vitamins A, C, and E. It also contains a healthy dose of immune-boosting antioxidants and beneficial fiber—all essential ingredients in keeping your immune system strong. To gain the greatest benefits from broccoli’s immune-boosting properties, eat it raw or only slightly cooked. The high concentration of vitamin C found in citrus fruit has long been thought to help ward off colds. But, vitamin C needs to be replenished daily within the body in order to be effective. Your body is unable to store this immune-boosting vitamin for long. For vitamin C to be effective in increasing your white blood cells and maintaining your health, you need to focus on getting a daily dose. With so many delicious options to choose from, this should be easy to do. Try adding more grapefruit, oranges, tangerines, or clementines to your diet. Or, simply squeeze some lemon, lime, or other citrus juice over your entire meal. Even early civilizations recognized garlic as a top immune boosting food and natural infection fighter. Today, garlic and other members of the allium family—such as onions, shallots, and chives—have been shown to help fight colds and the flu. Garlic accomplishes this by increasing the activity of your body’s natural killer cells, while onions can increase your white blood cell count to help fight off pathogens. The National Center for Complementary and Integrative Health notes that garlic may also help lower blood pressure. These numerous health benefits may be why this well-known allium has long been a popular ingredient in cuisines throughout the world. Science has shown that mushrooms contain a powerful antiviral in the form of a carbohydrate known as glucans. This makes mushrooms especially helpful in fighting off viruses like influenza. For the greatest benefit, try adding an assortment of mushrooms to your dishes, including button, shiitake, Portobello, and other varieties. Even better, combine these with onions or garlic for a powerful, immune-boosting, one-two punch. Ginger is considered to have anti-inflammatory properties, making it a frequent remedy for a variety of health concerns ranging from sore throats to nausea. According to recent research, ginger may also help to reduce chronic pain and lower cholesterol. Most people are familiar with ginger from its use in sweet treats. However, ginger also contains heat-producing gingerol, a cousin of capsaicin. This makes it useful for adding a little kick to soups, stir-fries, and other savory dishes. Certain types of yogurt, particularly those containing high levels of live and active cultures, may stimulate your immune system and help your body fight off disease. Greek yogurt is especially promising in this regard. In general, stick to plain, unflavored yogurts and avoid the sugar-loaded, pre-flavored varieties. You can always add your own sweeteners with help from your favorite fruits. Also, look for yogurts that have been enriched with vitamin D. These fortified brands will further strengthen your body’s immune system to help you fight disease. Last on the list of foods to boost immune system are almonds. These healthy nuts contain high levels of vitamin E, essential for a healthy immune system. Vitamin E is also one of the few fat-soluble vitamins. This means that it requires the presence of fat to be properly absorbed into the body. Since almonds and other nuts conveniently contain both fat and healthy doses of vitamin E, they are one of the best immune boosters available. Eat almonds along with some vitamin C-packed citrus fruit for a powerful defense against the common cold. While eating immune boosting foods and understanding how to improve immune system defenses does not totally replace the need for other preventive measures like getting a seasonal flu shot, it is a great start. If you haven’t already, get your flu shot today. Your local FastMed clinic is open 365 days a year, including evenings, holidays, and weekends. No appointment is ever necessary. To reduce your wait time, simply check in online before you arrive.